Short Description : Capacity range: 9 L/H to 3200 L/H Rated head range: 0.3 Mpa to 1.0 Mpa Power range: 0.025 kw to 1.5 kw. Connection size: DN 8 mm to DN 40 mm. Motor: 50Hz/60Hz, 220V/110V/380V/440V, 3 phase. Material: Pump head: PVC, PTFE, SS304, SS316. Power range: 0.025 kw to 1.5 kw. Connection size: DN 8 mm to DN 40 mm. Motor: 50Hz/60Hz, 220V/110V/380V/440V, 3 phase. Material: Pump head: PVC, PTFE, SS304, SS316. 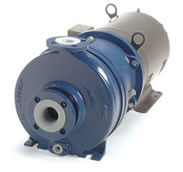 The diaphragm metering pump has been developed for handling corrosive liquids and those containing suspensions of abrasive solids. The movement of the fluid is transmitted by means of flexible diaphragm to the liquid to be pumped. The only moving parts of the pump that are in contact with the liquid are the valves, In the mechanical diaphragm metering pump, movement of the diaphragm is produced by direct mechanical action. SIKO MPD diaphragm metering pump, is simple and robust crank mechanism(spring-return mechanical) diaphragm metering dosing pump, Low cost due to reduced number of components, Use mechanically actuated diaphragm to combine the characteristics of a plunger pump (linear flow rate) with the sealing advantages of a diaphragm pump, Suitable for batching operation, very minimum maintenance required. MPD diaphragm metering pump good principle of construction assures that the diaphragm always moves in the optimum working range. to guarantees an extremely long diaphragm service life. Seal without leakage: Liquid is completely isolated by the diaphragm, so pump have 100% proof of leakage. It is very good for the viscous, poisonous, corrosive liquid handing. 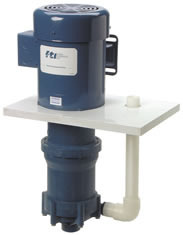 Easy maintenance: There are only several parts of components of pump. It has the simple structure, so it needs easy maintenance. Usually only need to change Lub. oil and diaphragm..
Pump head material: Besides SS304 and SS316 material, the pump head can be PVC, PTFE and other material. So, this will help the pump to delivery a wide range of chemical liquid type. Double diaphragm: Although the diaphragm pump has a good seal, for safety, pump can be in double diaphragm type with an alarm system, it will stop the pump when one diaphragm breaks.